The big extravaganza IPL 12 – is all set to begin today .. CSK takes on RCB at Chepauk .. .. In Mar 2012, it was a great show blitz in Chennai ~ the inauguration of IPL 5 ~ it was not at Chepauk, far away from the Cricket stadium at Nandanam there were more crowds – mad people spending so much – not for seeing cricketers in action………….. but the event that kickstarted the game. IPL was touted to be a treat of entertainment ~ but they opened the stage with bollywood diva Kareena Kapoor, Amitabh Bachchan, Prabhudeva, Priyanka Chopra, Salman Khan, Colonial Cousins and Katy Perry. Yes, an American Singer, songwriter and actress - Katheryn Elizabeth Hudson better known by her stage name Katy Perry performed for IPL at YMCA College of Physical Education ~ an innovative move to promote and popularize and patronize cricket !!! To those die-hard Cricket fans, when we started following Cricket in mid 1970s – there were : Ranji Trophy, Duleep Trophy, Deodhar Trophy (remember that 129 by TE Srinivasan at Chepauk against star studded West Zone) & Irani Trophy.. .. there tournaments have lost charm over the years. The 2018–19 Ranji Trophy was the 85th season of the Ranji Trophy, the premier first-class cricket tournament ~ Vidarbha were the defending champions. For long the Cup rested with Bombay – then there were Delhi, Karnataka .. .. .. .. and .. and some other teams. This year on 3rd Feb 2019, the finals was played between Vidarbha and Saurashtra ! Vidarbha defeated Saurashtra by 78 runs in the final, to become the sixth team in the tournament's history to retain their title. For Saurashtra, it was their third straight loss in Ranji Trophy finals, with their captain Jaydev Unadkat saying he was really proud of how his team performed during the tournament. Statistics may sound music but in reality, the game is not watched, if not followed. In a sense, Vidarbha’s success is not unexpected. The Board of Control for Cricket in India’s decision to share its monumental largesse with state associations has led to an improvement in the payment of, and the facilities available to, first-class cricketers . A former Vidarbha cricketer, who played for 21 seasons, said that along the way he had seen his meagre match fee of Rs 250 jump to over one lakh rupees. ~ but the crowds have thinned and are closer to dying down – some matches are literally played before empty stands – that is the status of the Premier tournament. In a match between Delhi and Andhra Pradesh at the Feroz Shah Kotla stadium in the Indian capital, there were about the same number of people in the stands -- around 20 -- as on the pitch. On the final day of the four, this swelled to 150, but only because it was a special occasion -- the swansong of former India opener Gautam Gambhir. People in cricket-mad India also no longer have much passion for the four-day Ranji games -- named after a maharaja who played for England in the 1890s -- preferring the excitement of one-day games and the razzmatazz of Twenty20. So is it the game or any individual, who is bigger – even in a phase of his career where critics uncharitably thrust mortality stating that this is his last match at this venue and so long – and he himself has chosen out of Test Cricket midway in a Series and presently is planning to play in WC 2019 – the legend MSD – when he walked to Chepauk (not for any match) but for a practice session, more than 12000 spectators were live shouting at peak of their voices chanting – dhoni ! dhoni! Dhoni!! he can still walk into stadiums across the country and set them alight. For one, the inimitable Super Kings whistle. More significantly: how long the welcome lasted, for nearly a minute-and-a-half, whistles and all, almost as if it were his last game there. 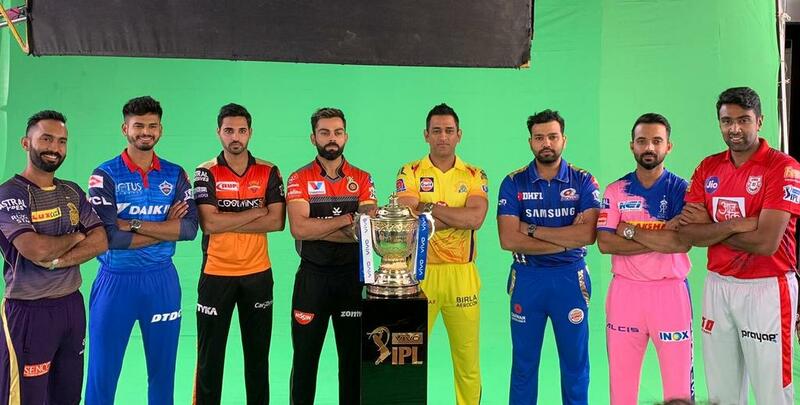 There is another reason though – last year was comeback for CSK - Dhoni and the Super Kings could play only one match in the city in the last three years. crowd shrieks; he isn't visible when the video begins, and is likely somewhere behind the backpedalling cameraperson, in the MCC enclosure's vicinity. This is the part of the stadium where people would have first spotted MS Dhoni walking out from behind the sightscreen, two bats in his right hand, and a helmet tucked under his left wrist. Walking out with him is a man, also carrying two bats, who is assisting him. Four bats in two right hands, moving steadily away from our shrieker. By now, Dhoni's on the field, and everyone has seen him. That's nearly 12,000 people at the MA Chidambaram Stadium, gathered to watch Chennai Super Kings train. That is the video on the twitter page of CSK. This year, the IPL will not have an opening ceremony after the Committee of Administrators (CoA) running Indian cricket decided to allocate the money set aside for it to the families of the CRPF personnel killed in the Pulwama terror attack. The opening ceremonies of the cash-rich T20 league are a heady mix glitz and glamour with performances by Bollywood stars being the highlight. However, as a mark of respect to the slain CRPF men, it has been decided to scrap the ceremony for the event's 12th edition beginning March 23. .. and .. ticket proceeds of Chennai Super Kings’ first home match in the 2019 Indian Premier League (IPL) against Royal Challengers Bangalore at Chepauk on March 23 will go towards the families of the victims of the Pulwama terror attack, the team's director Rakesh Singh announced on Wednesday. Tickets to the highly-anticipated clash between defending champions CSK and Virat Kohli’s RCB were sold out within hours on the opening day of sale. “Our captain MS Dhoni, who is honorary lieutenant colonel of the Indian territorial army, will present the cheque,” Rakesh said. On Monday, it was announced that military bands will perform at the M. A. Chidambaram Stadium ahead of the opening fixture. Officials from the Board of Control for Cricket in India (BCCI) also confirmed that the Board will contribute Rs. 20 crore for the welfare of the armed forces in the wake of the Pulwama terror attack, where 44 CRPF personnel were killed. Representatives from the Indian Armed Forces have been invited for the match, which will also be attended by the three members of the Committee of Administrators (CoA). The extravaganza is about to begin .. CSK kku oru visil podu ! !